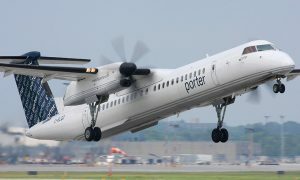 Bombardier Aerospace announced that Porter Airlines has signed a conditional purchase agreement for 12 CS100airliners, with options for an additional 18 CS100 aircraft. The agreement also includes purchase rights on six Q400 NextGenaircraft. 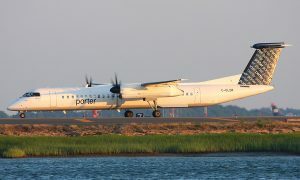 The parties also disclosed that Porter Airlines is the unidentified, Americas-based customer that signed a Letter of Intent (LOI) for CS100 aircraft as announced by Bombardier in December 2012. Today’s announcement was made at Porter Airlines’ home base at Billy Bishop Toronto City Airport, where alongside Bombardier, they also unveiled the CSeries aircraft flight deck and cabin demonstrator that will be on private display at Porter’s facility during the month of April 2013. 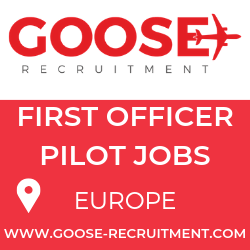 Based on the list price of the CS100 airliner, a firm-order contract would be valued at approximately $870 million US and could increase to $2.08 billion US should the 18 options also be converted to firm orders. Should Porter also exercise the six purchase rights for Q400 NextGen aircraft, the contract value would increase to $2.29 billion US.